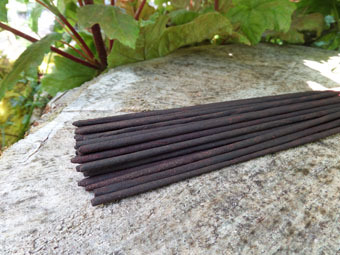 Scented only with pure jasmine oil. 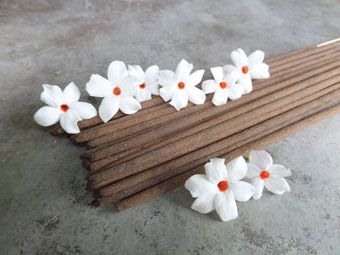 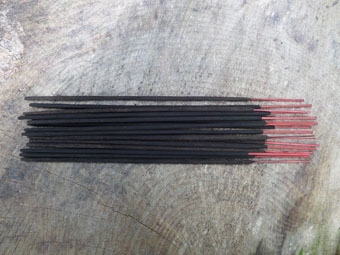 Our jasmine incense is impossibly sweet, heady and exotic with sensual overtones and piercing floral top notes. 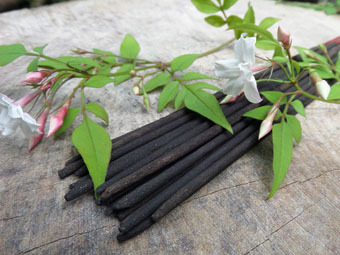 A powerful and distinctive aroma, full of depth.